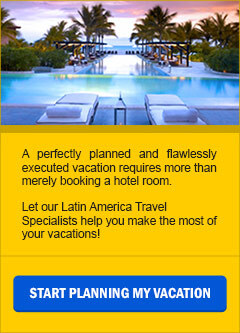 As a full-service Destination Management Company and Tour Operator, we are committed to offering our guests an impressive array of personalized group travel programs: from Business Meetings and Conventions, Affinity Groups, Family Reunions, Weddings, Incentive Groups, and Special Interests, to School and Senior Groups. Our extensive range of resources provides our guests with well-planned and perfectly executed group travel programs, always anticipating your group’s particular needs and carefully preparing your itineraries, activities and special events. Would you like to start planning your next custom-made group travel vacation? Give us a call, fill-in the blanks on our Vacation Planner, or send us an eMail; we would love to assist you in planning your perfect and unique journey! Colonial and modern Lima, world famous Larco Museum. Welcome dinner. The Sacred Valley of the Incas; Maras Salt Mines, Moray Colossal Terraces and the Ollantaytambo Fortress. Overnight in the Sacred Valley. Scenic train ride to Machu Picchu with touring of the Citadel and lunch at the Sanctuary Lodge by Belmond. Overnight in Machu Picchu. Ancient and colonial Cusco & the Sacsayhuaman Archaeological Park. Overnight in Cusco. Across the Andes from Cusco to Puno with touring and lunch en-route. Cruise of Lake Titicaca with visits to the Floating Islands of the Uros and Taquile. Farewell dinner show in Lima. Notes: Per person double valid to December 7, 2019. *One Free Tour leader sharing a double room with a minimum of 15 paid guests. Day 1 | Welcome to Lima, Peru. Accommodations at Jose Antonio Miraflores Hotel. Two nights with daily breakfast. Day 2 | Private Lima City Excursion and Larco Museum. Welcome Dinner | B.D. Day 3 |Fly from Lima to Cusco (airfare is not included). On arrival, meet private guide for a scenic transfer to the Sacred Valley of the Incas with touring en-route. Enjoy visits to the Maras Salt Mines, the Colossal Terraces at Moray. After lunch, visit the Ollantaytambo Inca Fortress, and the Pisac Open Air Market. Overnight accommodations at Agustos Hotel. Dinner at the hotel | B.L.D. Day 4 | Train trip to Machu Picchu/ Private Tour of the Citadel with lunch at the Sanctuary Lodge by Belmond. Overnight and dinner at the El Mapi Hotel | B.L.D. Day 5 | Train trip to Ollantaytambo Station for a bus transfer to Cusco. On arrival, enjoy lunch and a private excursion of the Sacsayhuaman Archaeological Park and ancient & colonial Cusco. Overnight accommodations at Los Portales Hotel | B.L. Day 6 | Travel across the Andes from Cusco to Puno with touring and lunch en-route. Two nights accommodations at Intiqa Hotel | B.L. Day 7 | Private Boat Excursion across Lake Titicaca to visit the Uros Floating Islands and Taquile Island. Lunch included | B.L. Day 8 |Private transfer to Juliaca City airport with touring en-route. Fly to Lima (airfare is not included). On arrival, transfer to Jose Antonio Miraflores Hotel for an overnight stay. Farewell Dinner Show | B.D. Day 9 |Transfer to Lima Airport. Farewell Peru | B. Private Airport / Hotel / Airport Transfers. Round trip train tickets to / from Machu Picchu in Expedition Class train from Peru Rail or Voyager Class train from Inca Rail. Shared shuttle bus transfer from Machu Picchu train station to the Citadel.